Thanks to its two Eminence designed 10" speakers, which are supported by a compression driver, the Fender Rumble 500 delivers a balanced, powerful bass sound with fast response. Together with the internal speakers, the strong class D amplifier outputs 350 Watts of power, which can be increased to 500 watts by connecting an external loudspeaker with an impedance of 8 ohms to the dedicated jack. 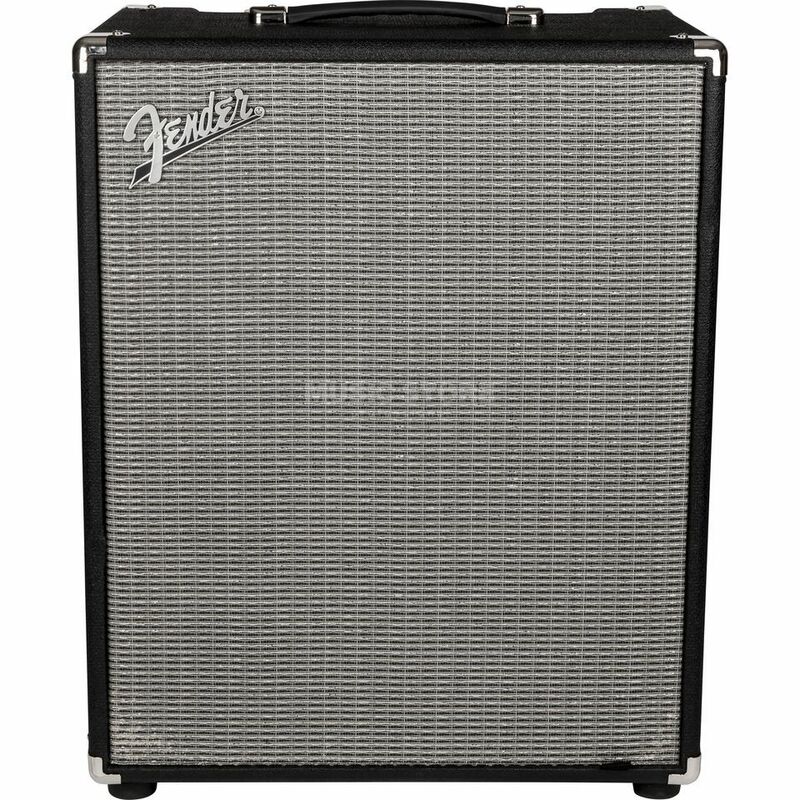 To personalize the sound to meet your personal preferences, the Fender Rumble 500 Combo is equipped with a 4-band EQ. In addition, different voicings can be allocated using the vintage, Contour and Bright switches. The integrated Overdrive provides a wide range of distortion and gives the bass sound a personal touch if you wish. The Overdrive effect can be switched on and off remotely using an optional footswitch. The Rumble 500 Combo is also equipped with a serial insert to connect external effect devices. In addition, the Aux in offers the possibility to connect an mp3 or CD player for backing tracks and Play-a-longs. The symmetrical Line Out oft he Rumble 500 Combo allows it to be connected directly with mixer or recording device. The Ground Lift switch is present to prevent noise and humming.